A fantastic team and amazing part of our sidecar family is in need of our help. I have been asked to set this page up on behalf of Ian Hamilton who is a personal friend and sponsor of the team. As everyone now knows, whilst racing at Knockhill last weekend Kershaw Racing were involved in a terrible accident on Sunday leaving both Steve and Rob in hospital. Both suffered quite severe injuries in the accident and many of the sidecar paddock have expressed their wish to assist both Rob and Steve as well as their families in this difficult time. Any money raised will go to help both families so money issues never cross their mind. It will assist them with travel to and from hospital as well as any aftercare, loss of salary etc. Everyone who knows these guys will know that they truly are the friendliest of teams and would go out of their way to help others which is why we should all do the same. I have set a high target so it encourages people to dig as deep as possible. Lee Watson will be at Silverstone this weekend taking donations which will be delivered to the families after the weekend. So come one guys and girls dig deep for these gentlemen of our sport and their families in their time of need. Thanks to everyone who has donated to this amazing cause. Who would have thought that we'd ever reach such an amazing target?. As you all know, the funds are aiding Rob to adjust to his condition with adapting his home and workshop. The total from all the outlets have reached over £20,000 now and Im sure all the families involved are truly taken a back from the amazing generosity shown by so many and are truly thankful for the support. I have closed donations to this Go Fund Me page now but you can still donate directly by contacting Steve Kershaw on Facebook or alternatively you can contact me and I will point you in the right direction. Update: Steve and Rob are continuing down their long recovery journeys. Steve has spent a week at a friend's house, making use of specialist facilities to aid the transition to home. He has had his hand reset & cast and is due his first follow up for his back injuries this week. Rob underwent spinal surgery last week and is starting his recovery where he will remain lying flat for up to 6 weeks, before beginning rehabilitation work. There are still many weeks of recovery ahead for the boys and we would like to thank you all again for your continued support and encouragement. 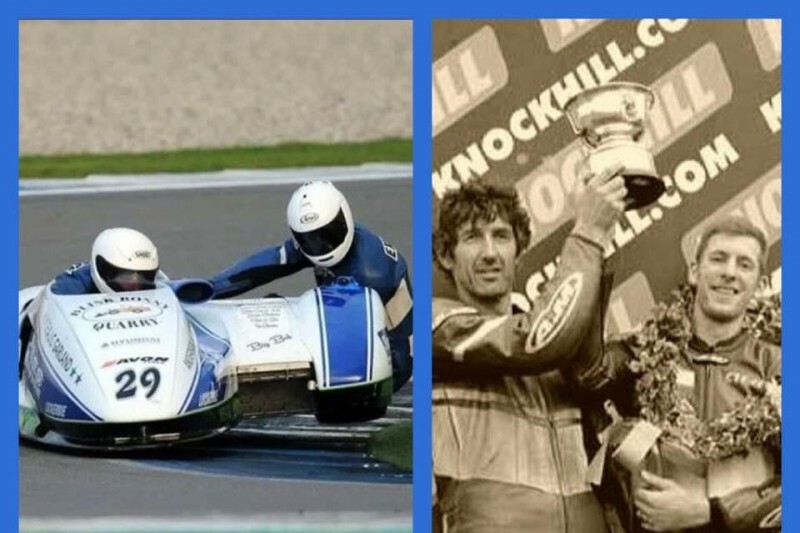 Here's your Monday update of the Kershaw Racing fund for Stephen Kershaw and Rob Wilson who were involved in a tragic accident at Knockhill leaving the passenger Rob with lower body paralysis. All RKBF1 teams agreed to donate full prize fund for the weekend to the fund. This was topped up by a generous donation of £500 from Roger Boddy at RKBF1 to give a total of £3950. They say that bad news travels fast. Well, it took about two months to reach here. Wishing you two all the best from the Swinton mob.